Lockheed Martin awarded development contracts recently to upgrade F-35 Lightning II avionics under the future Technical Refresh 3 (TR3) effort. Plans call for introducing new hardware during F-35 production Lot 15 in the 2020s. 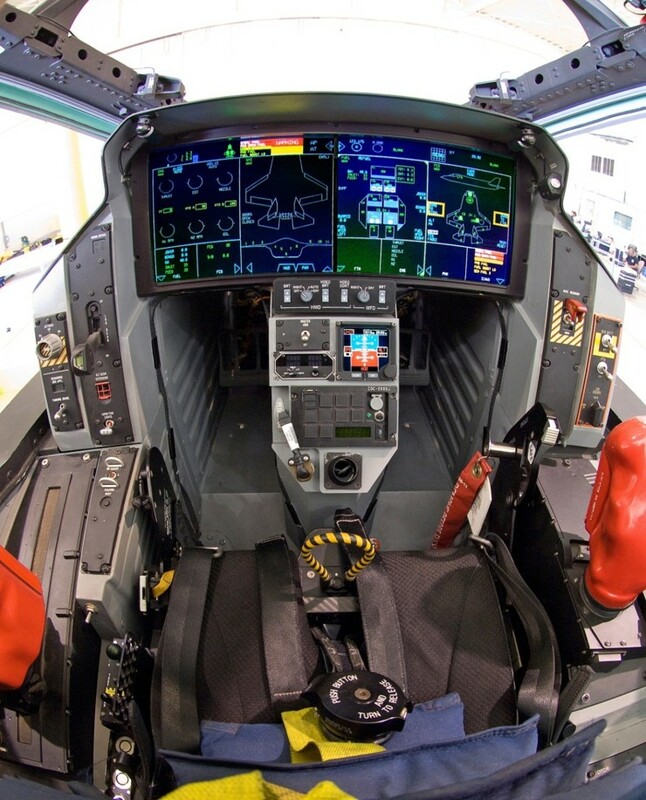 In early June, Elbit System of America announced a contract from Lockheed Martin to develop a panoramic cockpit display unit to replace the fighter’s current L3 Aviation Products cockpit display. During the Paris Air Show later that month, Harris Corporation said it had a contract from Lockheed Martin to improve the F-35’s data storage, display processing and throughput capabilities. The TR3 avionics system upgrade is part of the F-35 Block 4 follow-on modernization program; it will be added during the Block 4.2 increment, according to the Pentagon’s Office of the Director for Operational Test and Evaluation (DOT&E). In the early stages of planning, Block 4 will provide U.S. Air Force F-35As with increased capability beginning in Fiscal Year 2021, according to Lt. Gen. Jerry Harris, Air Force deputy chief of staff for strategic plans and requirements. The planned improvements include integrating additional weapons on the F-35 and upgrading its electronic warfare, datalink and radar systems, he stated in testimony to the House Armed Services Committee in February. In May, the Naval Air Systems Command awarded Lockheed Martin a $19.8 million contract modification, which “procures work on the aircraft memory system and panoramic cockpit display in order to alleviate diminishing manufacturing sources constraints projected under F-35 production Lot 15,” according to the Department of Defense notification. The expected completion date of the contract is March 2019. Through its Rockwell Collins ESA Vision Systems joint venture, Elbit Systems of America supplies the F-35’s current helmet-mounted display system (HMDS). The front panel of the existing cockpit display includes a bezel with controls that allow for inputs from the HMDS and other sources, Lockheed Martin said when asked if the HMDS and new head-down panoramic cockpit display will be interoperable. Harris will supply an aircraft memory system (AMS) and a panoramic cockpit display electronic unit (PCD EU) based on open-architecture, commercial off-the-shelf technology. The AMS is a solid-state mass storage device for F-35 avionics subsystems. “It is the repository for avionics operational flight programs, mission and theater data, prognostics and health data, audio, display video, and aircraft parametric data,” Harris said. The PCD EU serves as a processor for the panoramic cockpit display. Harris started technology development of TR3 components in June. There will be a system qualification phase in early 2019, followed by a five-year production contract, the company said. The Elbit Systems of America and Harris contracts are independent, sub-system developments, Lockheed Martin said. The panoramic cockpit display and the PCD EU will be linked by a cable, however, and use a common display driver interface.